Key-Locking security bag. 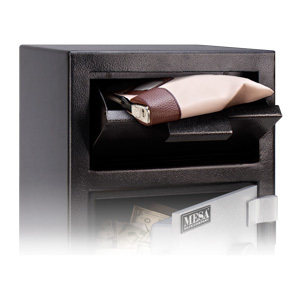 Store & protect cash, coins, checks, documents & other valuables. Great for secure transporting. Safes, Business, Banking, In-Car [temporary] storage, Transporting cash & other valuables. 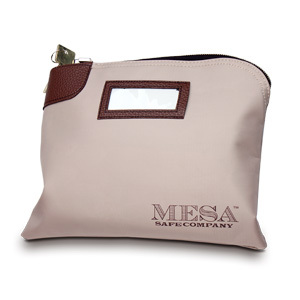 Heavy canvas material, neutral color to detract prying eyes, industrial-strength zipper with heavy-duty key lock. Front clear pocket for labeling.